When I was a tot in the 1950s, my grandmother lived with us. She smoked Raleigh cigarettes and saved the coupons in her top dresser drawer. Raleigh cigarette coupons could be redeemed for gifts, keeping smokers loyal and addicted. The scent of tobacco and Yardley’s English Lavender mingled in a rustic perfume that belonged uniquely to her. 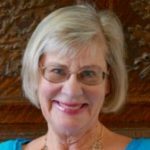 She also subscribed to the Saturday Evening Post, which she used to teach me to read. Each week when the magazine arrived by mail, we’d sit in her bedroom and giggle over the cartoons. Hazel was my favorite and became the basis for a popular 1960s TV sit-com starring Shirley Booth as the wise-cracking maid who was smarter than her bosses. Today, the Saturday Evening Post has endured when most print magazines have disappeared. Recently the Post unveiled their new website that includes every issue all the way back to 1821. The task of scanning and digitizing tens of thousands of pages took nine years. For $15/year, subscribers receive six current issues plus access to nearly two hundred years of history. I just subscribed as a fond trip down memory lane because of my grandmother. However, the deeper I delved into the Post’s archives, the more I realized what a valuable resource this could be for writers of historical fiction. Nearly two hundred years of American life are collected in one convenient location. I soon got lost in bygone eras. Language: Reading prose written during your chosen era helps you better capture the particular phrasing, jargon, and speech rhythms of the time. “From now on, Zagero, you and Levin ride with a gun trained on you!” Mason snapped. Setting details: Illustrations for architecture, building styles, and period home furnishings add authenticity to your story world. 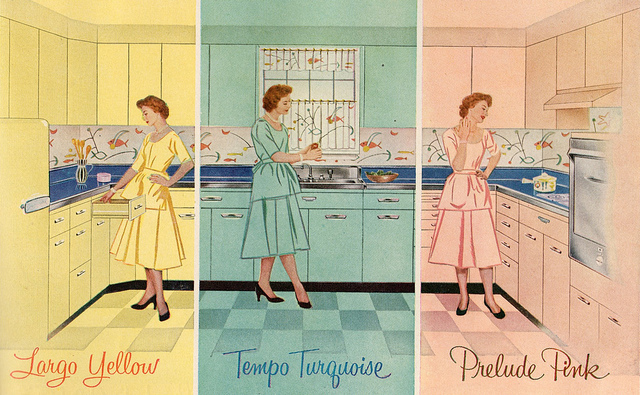 I was drawn to advertisements for home appliances from the 1950s, recalling brands like Kelvinator and Hotpoint, and refrigerators in a choice of colors like pink and turquoise. Employment: In the 1910s and ’20s, many ads featured motor oil, tires, and batteries, reflecting industrialization as society changed from carriages to automobiles. A character living in Ohio then might work at the Timken Roller Bearing Company in Canton or manufacture Grande Cord tires at the Republic Rubber Corporation in Youngstown. Styles: Fashion illustrations in the Post showcase clothing, shoes, and hairstyles of each era. In 1927, a female character might straighten the seam lines on her Realsilk hosiery while her husband shines his stylish Selz shoes. Transportation: In the span of two hundred years, horse-drawn carriages and stagecoaches were replaced by trains and steamships which gave way to airlines like Pan American and Trans World Airways. Automobile ads from the early twentieth century feature now-forgotten brands your characters might drive, like Hupmobile, DeSoto, and LaSalle. 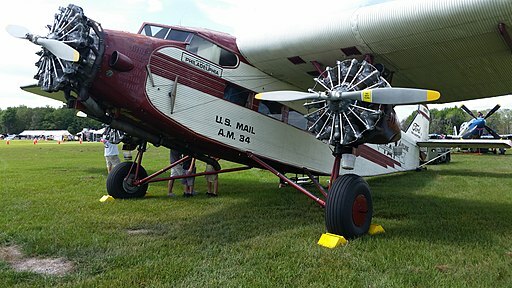 Or they might fly on a Ford Tri-Motor. Health/Medical: In the 1960s, ads for Chesterfield, Pall Mall, and Viceroy played counterpoint to feature articles like “Crash Effort for a Safer Cigarette” from April, 1964. By the 1990s, the Post’s focus had shifted to breakthrough medical developments, with nary a cigarette ad to be found. Warning: resist the temptation to pack in too many details simply because you don’t want to waste the research. Use only as many as are needed to capture the flavor of the era. Perspective: By reading Post issues prior to a major historical event, the author can find insights into what precipitated the event. I found one example in a cautionary article from 1900 by a young member of the British Parliament named Winston Churchill. He warned that a complacent citizenry and a weak, underfunded military could lead to future conflicts. His predictions came true in 1914 with the Great War. By 1940, he became Prime Minister and led the Allies against the Axis in World War II. Political Issues: Letters to the editor illustrate why people believed and thought the way they did at the time. They voiced opinions based on how certain topics affected them that day, without knowing what was in store in the future. Articles, bios, and op-eds from the Post can lend authenticity to the attitudes of your characters during a given period. Letters to the editor expressed concern that JFK’s Catholicism would sway his political direction. In the 1960 election, separation of church and state was considered a critical issue. By 1962, that concern was overshadowed by the Cuban missile crisis. As Americans stockpiled canned food and built backyard bomb shelters in anticipation of nuclear attack, JFK’s religion faded into a non-issue. Authors and readers of historical fiction have foreknowledge. We know the North won the Civil War. However, story characters in 1860 can’t know that. Character A may feel optimistic about a certain event while character B views that same event with trepidation. The difference in opinion amplifies conflict between A and B. Plus, the reader feels an added layer of tension, knowing that event will soon lead to the bloody battle between the Union and the Confederacy. Obviously, I fell way down the vast rabbit hole in the Saturday Evening Post archives. I’ll be back for more visits to the archives that refresh memories of my grandmother as well as tidbits about bygone days. TKZers, what are your favorite historical references? Does reading about history tempt you to write about it? Please check out my thriller Instrument of the Devil, on sale for $.99 until November 15 on Amazon. This entry was posted in #amwriting, Alastair MacLean, historical, historical accuracy, historical voices, history, JFK, Writing by Debbie Burke. Bookmark the permalink. What fantastic information. Thank you. For many, many years we had the Post on the living room coffee table. In the late 60s, when the nostalgia thing was happening, I wrote to the magazine. Knowing my words are in The Saturday Evening Post still gives me a kick, even if they’re only in the letters section. You can look back in the archives now and find your letter to the editor, Laurie. How cool. Thanks for joining me on memory lane. I still have the issue. Somewhere. It probably will be easier finding it in the archives. My wife and I now live in senior housing. Our management has hung large reproductions of the Norman Rockwell covers as hall art. Nostalgia abounds, and we never get tired of seeing some our favorite things about The Post. I study the pictures for detail for scenes in the WWII epic I am writing. What a fun way to spend part of a day. By the way, one of my favorite features in the post were the baseball situations and explanations. I became sort of a weekend expert on baseball, and was frequently called upon as a boy of 11-12 years to explain things to my family that we saw on the Saturday game of the week. Dizzy Dean, who retired and opened a carpeting store across the street from our church, and Buddy Blattner, were the announcers. I still miss the current TV teams saying he done hit a blue darter down the right field line, goin’ for the down, he slud into third, he booted it!, and so many other memorable baseball-related phrases that colored the game for us. Now, all the broadcast teams care about are statistics and their esoteric stories. And, of course, the Saturday Evening Post could be read any time, any where. Thank you for the link to the article on Norman Rockwell. His story about acting out the ideas of his sketches with Mr. Lorimer reminds me of Joshua Logan, the director of the stage and screen versions of South Pacific, telling the story about how he would pitch ideas regarding musicals to potential producers and angels by taking his assistant in, sitting down, talking the idea through, singing the songs or giving an idea of certain music. Men such as Norman Rockwell enriched our nation so much. Thank you for telling me about this valuable resource, Debbie. My Grandma had the Saturday Evening Post, too, and I loved reading it. She also got Reader’s Digest, which wasn’t quite as much fun. For historical research, I use the Smithsonian Magazine (good information on the 60s) and nifty book by Paul Dickson called “Timelines” which has newspaper headlines and trends from 1945 to 1989. Pick up a used copy if you can. You’re welcome, Elaine. Thanks for leads on new historical resources. I think Reader’s Digest wasn’t as fun b/c it didn’t have the Post’s great illustrations. My parent’s subscribed to the SEP. I started looking through it, and then reading some if not all of its content, around 5th-6th grade in ‘61/62. My little town was situated in an area where the only TV channel we received was CBS, and I remember looking forward to Saturday evening and watching Perry Mason while reading the magazine (we received Reader’s Digest, also; loved the 20 question vocabulary test in it). I had no idea the Post was still in business. Fifteen bucks a year is a great deal. Richard, you brought back another fond memory–Saturday evenings with Perry Mason. Amazing how, in all those years, NONE of his clients was ever guilty. 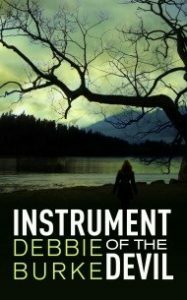 How many crime writers did Earl Stanley Gardner influence? I’m certainly one of them. Debbie, Thank you so much for sharing this valuable resource! I write historical fiction and sometimes finding research applicable to a certain year is difficult. I had no idea the Post went back so far! As for my relationship with the Post, my perspective of the world was shaped by Norman Rockwell’s covers. Glad you found it helpful, Marilyn. Don’t we all wish we could live in Norman Rockwell’s paintings? Don’t we wish we could live inside Norman Rockwell’s paintings? Oops, I’m on a slow internet connection and had given up on my first reply, so redid it. Now it appears twice. I don’t remember the SEP in the house, but I do remember National Geographic. I have the complete (up to about 1998) set on CDs now. It is a great historical resource. I remember needing information on 1947, there it is. General Electric had a full page ad for their new locomotives, the first ones post war. Lucky Strike changed their “dot” from green back to red. And ads for the overnight Pullman to Florida and then on to Havana. I love the Smithsonian as Elaine said. I learned some personal history from the Smithsonian. The Buffalo Soldiers were on the cover. There was an article on the Buffalo Soldiers rescuing a group of Army Scouts in what is now Colorado in September, 1868. My great, great, grandfather was one of those scouts. Alan, NatGeo is a terrific source for world history. Old advertisements give an amazing amount of information too. Having a personal connection with historical events is priceless. What a treasure trove, Debbie! I must subscribe. I rely a lot on Internet resources, including newspapers, and library books. I’ll often buy used books online if it’s a big project–particularly books with tons of photos. My brain actually relies on visual imagery more than words. 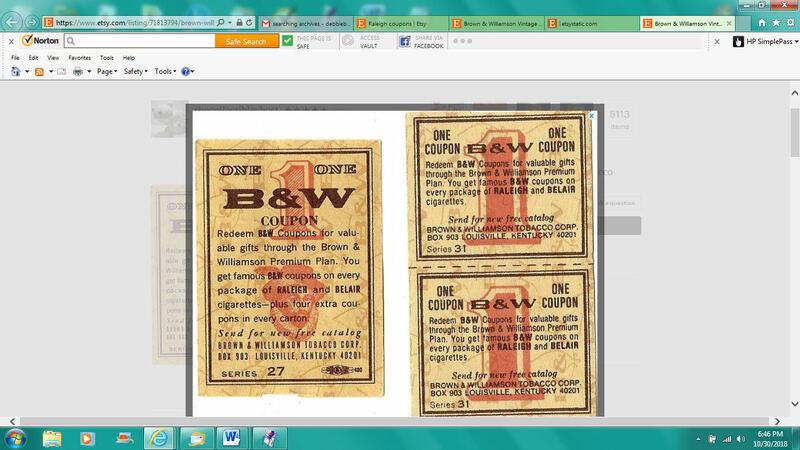 My mom’s mother smoked Raleigh’s and I recognize those coupons. My father’s mother managed an S + H Green Stamps store, and my favorite thing to do there was to feed redeemed booklets into the terrifyingly awesome punch machine to invalidate them. Loved spending the day with her at work. Now you’ve sent me down the S and H rabbit hole to learn that the company now exists as S and H Greenpoints.com. I don’t know any companies that *give* greenpoints but you can redeem stamp booklets there. Laura, a picture is truly worth a thousand words, esp. for history where photos allow us to see places and things that no longer exist. Jim mentions studying Rockwell to find tiny details the artist slipped in. Those can be anything from a button hook on a vanity table to a sports scoreboard with manually placed numbers. 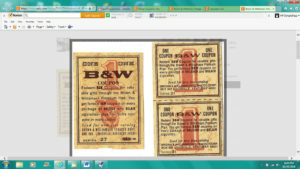 I remember S&H Green Stamps and Blue Chip Stamps, and weren’t there orange stamps also? My project on rainy days when I couldn’t play outside was gluing stamps in the coupon books. My husband still has a Schauer car battery charger he got with S&H Green Stamps. Meet you down in that the rabbit hole! Memories,memories…SEP,Norman Rockwell,National Geographic,Green Stamps and Perry Mason.When our family finally got a TV (on loan from neighbors whom the Navy transferred to Hawaii) in about 1955 or 56, one of the shows approved by our parents was Perry Mason.I believe it came on on Saturdays. I remember having my parents’ specialty, “build-your-own burgers” (hamburgers with toppings of your choice) on TV trays (remember those? ),seated in the front room watching it.High point of the day! I stand in awe of you and all the authors who have responded to your post.You don’t just have memories of the past,you actively use them in creating something new and unique.Bravo!!! Mary Ellen, my parents got our set of TV trays with S&H Green Stamps! Rickety, wobbly metal but we thought they were so cool. Do you remember the redemption store in North Park (San Diego)? Think I can find more interesting things in Post than Poets and Writer’s. Only magazine I read now is the short-short-stores at the back of “Southern Living” where Rick Bragg laments his latest choice of chewing tobacco choices when he was ten. Thanks for your article, I’m signing up. Have fun prowling through the archives, Gerald. The Post tempts me to try my hand at history. Maybe a short story?